The Labradoodle started off as an experimental hybrid in an effort to produce a non-shedding dog with a proven Labrador Retriever trainability for guide dog training, it was given the name Labra = Labrador and Oodle =Poodle, Names like this have become known as crossbreed [hybrid] designer names such as Moodle, Goldendoodle, Spoodle, There was never an intention to develop any of them into a “breed “of dog. Todays Labradoodles have reverted back to little more than a designer cross breed, this means there is no genetic inherited consistency so each litter is a genetic lucky dip, some pups grow up to be wonderful and some not, in the exact same way as any other litter of cross pups. Clubs that give pedigrees and a club registry number popped up all over the world, this led to people believing it is a pure breed that “should” have consistency. The reality is that the Labradoodle is bred for fabulous looks and a wild variety of colours and patterns with no attention to genetic trait and temperament. There still remains 2 types of Labradoodle, some are only Labrador and Poodle mix and others are Australian Labradoodle that started with my original genetics and have since branched out adding several different types of Spaniels into the mix. IN JANUARY 2012 THE AUSTRALIAN COBBERDOG was officially recognized as a Pure Breed in development by global Pure Breeds Registry, the MDBA . To safeguard the future of this developing pure breed, by monitoring and maintaining consistency and reliability the MDBA is now the only registry body in the world authorized to register Australian Cobberdogs and Cobberdog breeders. Sadly the registry has now fallen victim of many aspiring new breeds and has become managed and controlled by a small group of breeders, 2018/19 has seen many changes to what Tegan originally established for the future of this breed. For example: They have changed all the colour identification to Labradoodle colours, they accept Labradoodles as breeding stock and have altered the Breed standard, Resulting in exactly what I dreaded, A Labradoodle with a Cobberdog name and registration paper, making a great deal of confusion for puppy buyers wanting the unique temperament qualities our Australian Cobberdogs possess, Their are a small number of breeders around the world remaining true to the Tegan Cobberdog genetic blue print alas not enough to protect the dream and future of our incredible breed. It is now even more important you do your research and be sure the puppy you purchase will grow up to be what you hope and need weather it be a Labradoodle in disguise or a true Australian Cobberdog. WHAT IS AN AUSTRALIAN COBBERDOG? WHERE DID IT COME FROM? So far, generally, the assumption has been that the name, Australian Cobberdog, is simply a name change for the Australian Labradoodle [see above for update] with many breeders promoting this idea to maintain the value of their Labradoodles. This is FAR from true, Genetics from the founders original gene pool have been used as a base [foundation] for the Cobberdog, but a great deal of new genetics have since been added to sculpture a new breed in its own right. Many pure breeds have common denominators in their roots but as a finished developed breed they are entirely unique from each other. 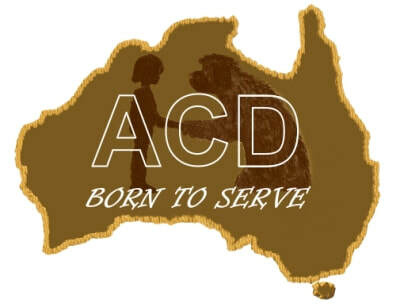 Let us be very clear - The primary purpose of the introduction of the Australian Cobberdog name was to be able to identify dogs of a new breed using a traditional acceptable pure dog breed name that gives you the county of origin and purpose is/was used for within its name. We have been developing and mentoring new breeders of Cobberdogs in the art of genetically, rather than visually selecting, for consistent inherited specific temperament, traits and characteristics for more than a decade and a half the result is a healthy, identifiable and predictable breed of dog more reliably suited to service, therapy and assistance work. THE Australian COBBERDOG RECIPE - CAN IT BE REPEATED? At the very Labradoodle beginning, the founders had a clear vision of what they were wanting to achieve based on previous decades of experience and the characteristics we saw in some of the dogs and puppies. We knew we wanted the dogs to be able to behave in a certain manner and be easily trainable to work at specific tasks mostly suited towards assistance, therapy and comfort dogs. We wanted a non-shedding coat which was easier to care for than past Labradoodles, We wanted to develop a proper pure breed to be consistent and predictable. In order to do this we carefully selected individual dogs and original old bloodlines which had the most desirable qualities, and then added a new “ingredient” [new compatible breed individual] this is called an infusion. This was done with a specific purpose at a specific time in the development to strengthen and solidify the reliability of quality traits. Dogs of these new parent breeds and breed types were carefully and most importantly individually selected and infused for the purpose of what they may bring to the future of the Cobberdog breed at that time and at that point, in the breed development, they then had to show that their qualities were inherited by their offspring. Due to past experience of how the Australian Labradoodle has been managed by breeders with little or no understanding of how to work with genetics resulting in a trend to re-introduce Spaniels to try to regain the original coat and size qualities lost, we have kept most of the Australian Cobberdog parent breed infusions a secret to ensure the Australian Cobberdog never meets the same fate as the Labradoodle and its hybrids. Just because a dog is closely related to the founder’s original old bloodlines doesn’t give any guarantee that the breeders who are breeding with them have understood the importance of knowing and understanding how to select for a consistent genetically desired outcome. Over time you breed what you select for, anything you don’t select for you lose. Which dogs they are related to helps, but foresighted selection of desirable traits and qualities cannot be underestimated? Pretty is as Pretty does you simply cannot breed for looks alone nor can you judge a book by its cover. There has been much importance placed on the “parent breeds” and for some, the perception is that if you simply add in a dog of one of the original breeds used by the developers of the breed, now and then, or even starting from scratch with the same parent breeds will bring the same results this is not true, So to safe guard the future of the Australian Cobberdog breed the “origin ingredients” will never be disclosed. Our aim of developing the Cobberdog pure breed is to be able to produce consistent and healthy puppies with science, trait selection and historical experience that give consistent desired characteristics. 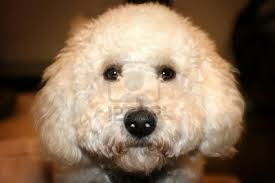 Let’s use the Australian Labradoodle as a typical but not isolated example of how dog breeds never get past first base. How wide the gene pool is that can be used for breeding to the desired goals at any given time in a breed’s development can be impacted by politics, differing views of what is the best path to take to get to the desired goal, differences in the view of what the desired goal should be and numerous other variables. Breed specific Pedigree registries run by those involved in the breed spring up, each with their own set of rules, politics and selection criteria creating a divide in the base gene pool. As the Australian Cobberdog breed is developing the MDBA stud books are kept open with restriction, for good reason as advised by the breed founders. That is because the breed is still a work in progress. The gene pool needs to be wide healthy and consistent without the negative side effects history has taught us are a potential threat to the health, longevity and fertility of a pure breed if the stud books are closed too soon. Because of the political and monetary threats to a breed in development and the history of divisions seen in the Labradoodles and other budding breeds, the founders believed that only one third party stud book pedigree registry worldwide is the best option to protect the breed and give it a better chance of becoming a recognised pure breed, to ensure the dogs which are being produced are clearly belonging to one pure breed and are bred by like minded breeders who share their successes equally with their disappointments, facilitating a united learning and developing front and insisting their dogs are predictable in characteristics and health. There may be a need from time to time to consider a new infusion of an individual dog or a dog from another breed if it can be shown to be potentially positive toward reaching the desired goal for the breed as it is developing. The MDBA currently oversees several potential breed developments and applies its guideline rules to all equally No breed nor cross breed is permitted to be infused unless first approved. However indiscriminate breeding still continues with the many still breeding with woolly Poodle looking Labradoodles and Spoodle looking Australian Labradoodles registering the offspring as Australian Cobberdogs, and the Breed committee is also run by commercial breeders, It is not the ideal I was hoping for I wish I could have learnt more about mistakes before making them! Only time will tell if our life’s work of the Tegan Australian Cobberdogs will survive. We will continue to strive to perfect our amazing Australian breed to become the ultimate healthy family best friend, super medic alert/response dog, therapy and comfort dog wrapped in an low/no shedding allergy friendly easy care coat.